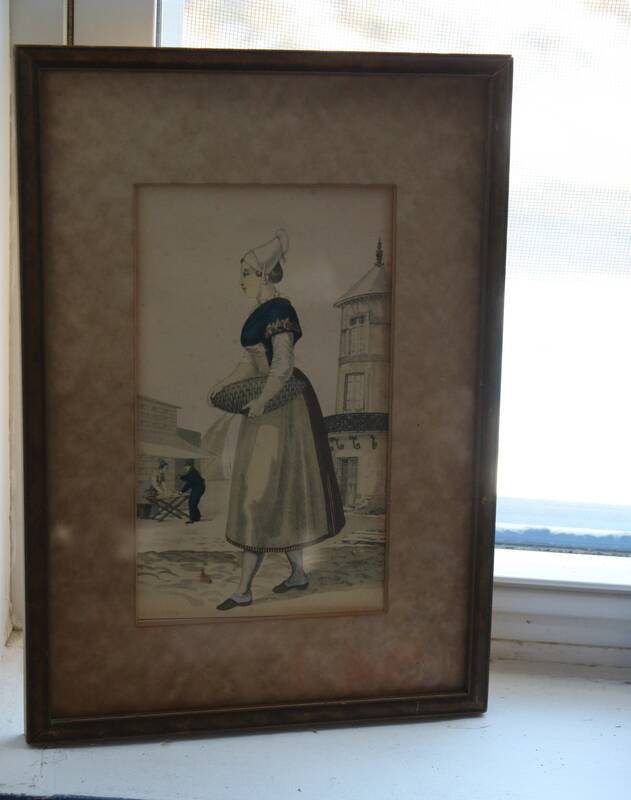 This vintage, French, framed and matted print of a woman selling fish, entitled "Marchande de Poisson à St. Valery en Caux," has a portion of a menu on its back. 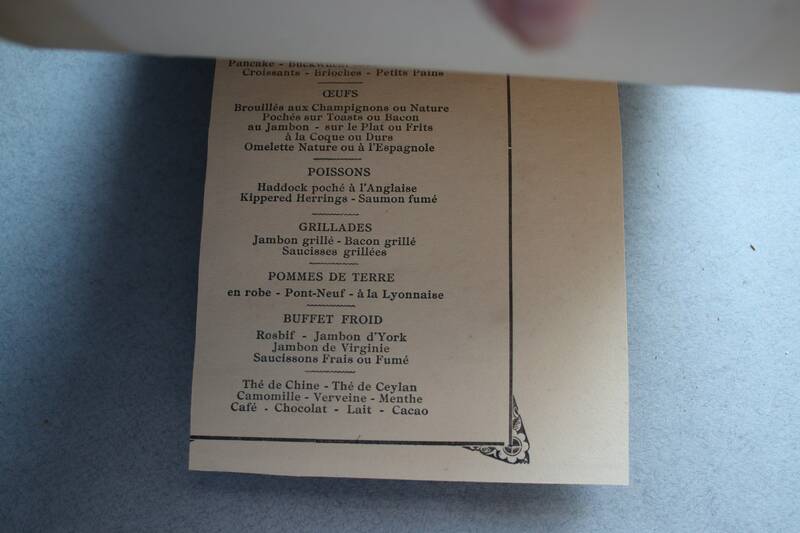 These prints decorated French cruise line menus in the 1930s, possibly at earlier and later dates as well. Inscriptions under the image of the woman are "Pécheux del Chez Le Goupy Gatine Sculp." Pécheux was the original artist and Gatine was the engraver. 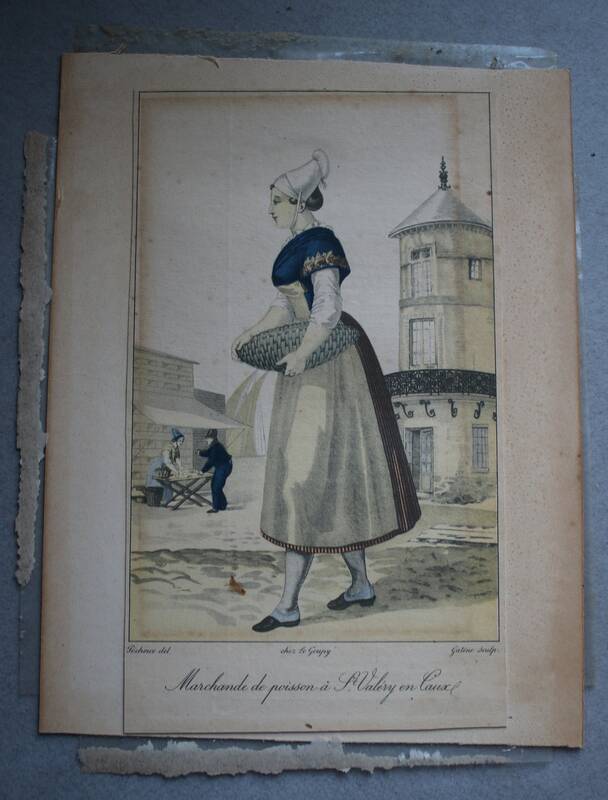 Le Goupy published this print. 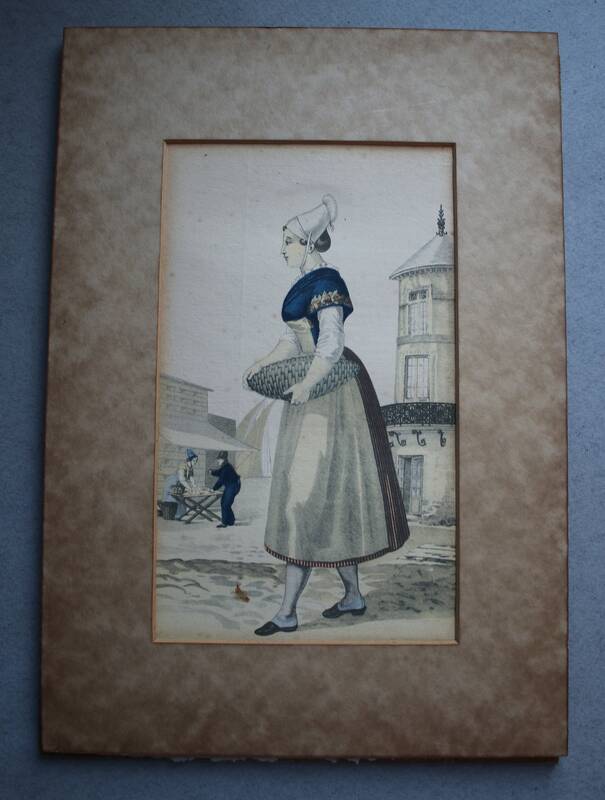 The print has some foxing and a brown smudge to the left of the woman's most forward foot. 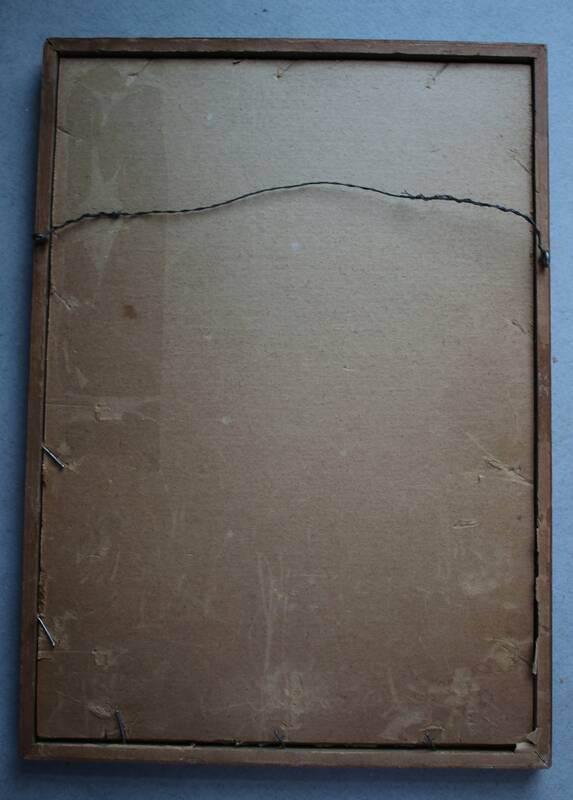 The frame is wood with scratches and wear. 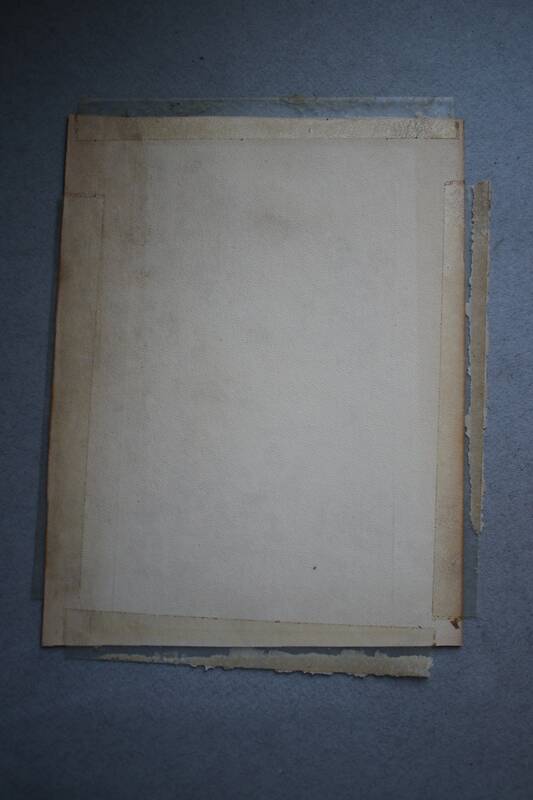 The backing needs to be secured so the backing, print and glass will not fall out upon hanging the print. Some nails are already in the edges of the frame but are not enough to hold in the backing, print and glass. The frame measures 10.5" x 7.5". Shipping overages of $1.00 or more will be promptly refunded upon shipment of your framed print.